Opposition leader Nelson Chamisa and his lieutenants are living in fear of an imminent government crackdown, after army and police chiefs suggested this week that a militant wing in the MDC was responsible for the August 1 killings which left six people dead and dozens others injured. The MDC Alliance is concerned that the army would soon launch a crackdown to decimate the party after senior army and police officials blamed it for the deadly shootings. 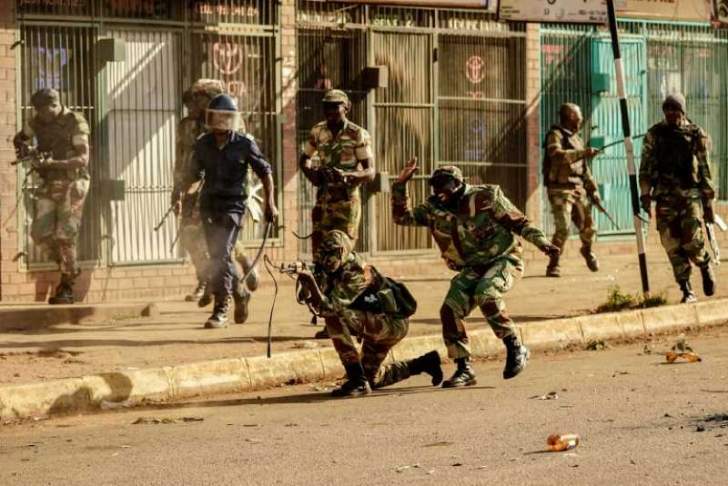 Giving their testimony before the Motlanthe Commission in Harare this week, army and police chiefs accused an MDC wing, the Vanguard, of being responsible for the deaths of innocent civilians soon after the July poll. However, it has been reported that the deaths happened after a crack army unit descended onto the CBD and fired live ammunition indiscriminately at fleeing civilians. General Phillip Valerio Sibanda, the commander of the Zimbabwe Defence Forces, told the Commission that, "The possibility of the Vanguard, a militant group within the MDC Alliance youth league, having weapons and having used these weapons during the disturbances on that day cannot be overruled. There is no hard evidence that the army shot at civilians, but it is also believed that members of the MDC’s Vanguard could have been armed."